At least, according to researchers at Columbia University. This post risks sounding like a typical climate “alarmist,” but last week brought about some alarming news. 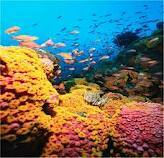 Published in Nature came news of accelerated ocean acidification. Researchers revealed that the ocean is not just becoming increasingly acidic (as has long been noted), but it is happening at a rate faster than in the past 300 million years. Note that the past 300 million years encompasses four mass extinctions. Also note that by faster, researchers mean ten times faster than any period in those 300 million years. None of this is said with the purposeful intention of sounding alarmist; but, that information is actually alarming, isn’t it? Like many other species before them, our current ocean population can adapt to changes in their environment. The problem here is two–fold: (1) Will they adapt quickly enough? (2) What will these evolutionary changes bring? Allow me to expand on point two: You may enjoy a good shellfish or two. It has been noted that increasing the acidity of the ocean makes it increasingly difficult for certain species to produce their protective shells. 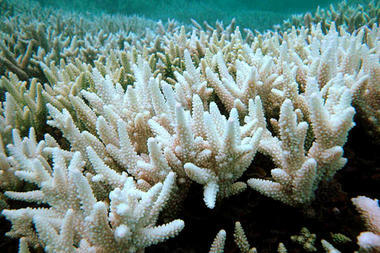 It also, most notably, hurts the rain forests of the sea: coral reefs. This is because, as I touched on earlier, the free hydrogen ions will bond with carbonate in the ocean to produce bicarbonate. This leaves less carbonate available for sea species that use carbonate to produce their shells or that need it for growth. Couple this with the increasing temperature of our oceans and, due to that fact, species will have to work harder (read: exert more energy) in order to maintain internal equilibrium, it is likely that these changes will produce some big alterations… then pile on this news that they will adjust more quickly than they have before… it’s painting a grim picture, isn’t it? Scientists cannot and need not be definitive about exactly what will happen and when all over the earth. As ever with climate change, there is a range of risks involving mind-bogglingly complex planetary systems that scientists can attempt to anticipate, and probably many they have not considered. The point is there are enough dangers of such magnitude and probability that humans should invest in reasonable policies to avoid them. Ocean acidification is one such danger. To read the rest of the editorial, see here.